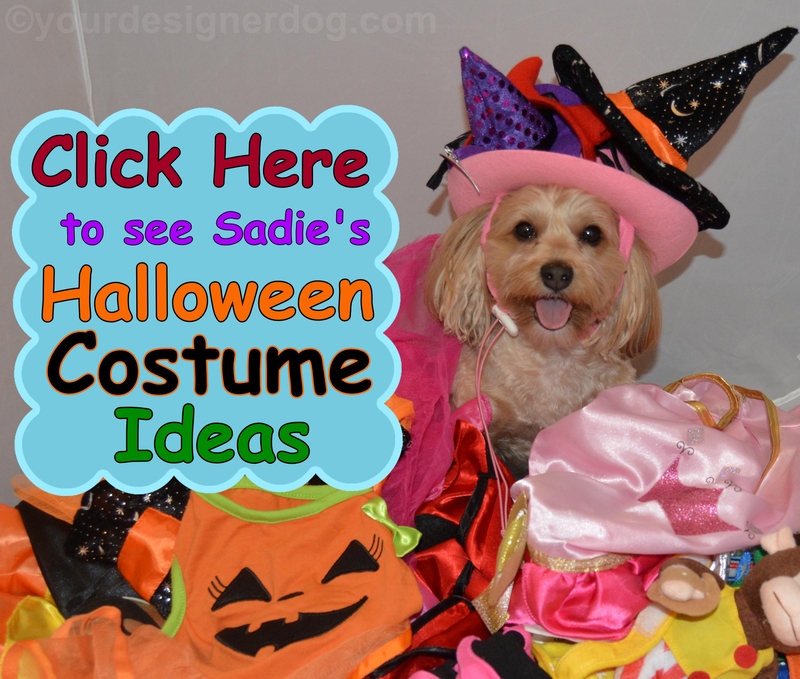 I love looking at all of the creative DIY Halloween costume ideas you can find everywhere at this time of year! But to be honest, I’m a bit clumsy with crafting, and most DIY costumes are beyond my beginner skill set. 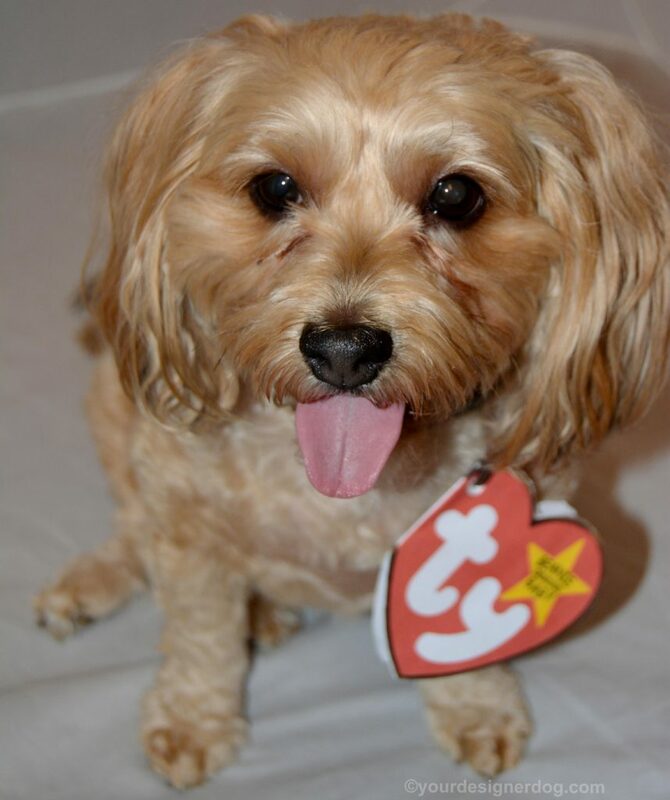 But when I came across a photo of a Beanie Baby dog costume on Pinterest, I immediately knew this was perfect for me – easy enough for my skill level and adorable enough for my dog. 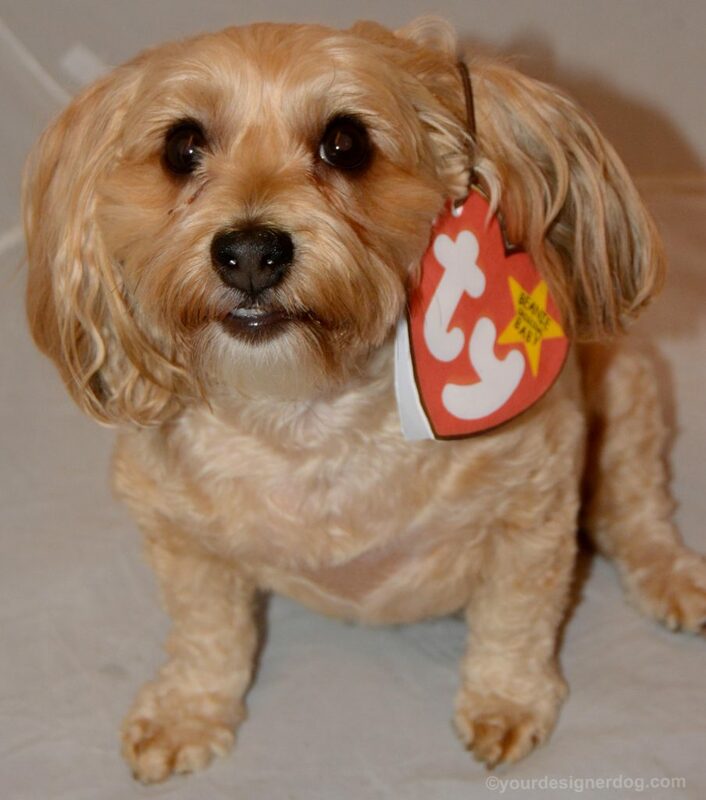 Plus, as someone who collected Beanie Babies at the height of the craze, I rather liked the idea of having a Beanie Baby of my own dog. 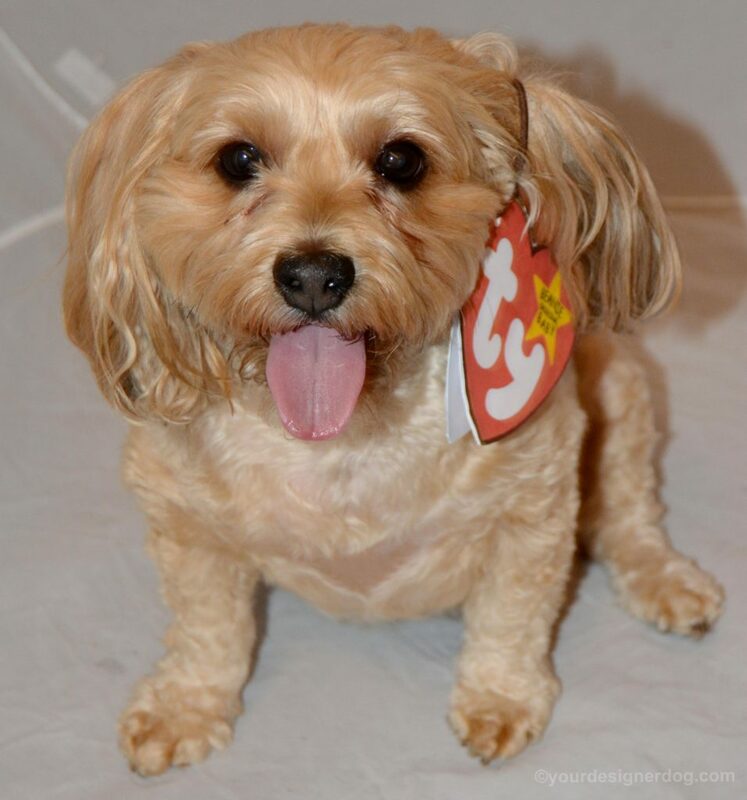 Below you can find the steps I used to create the Beanie Baby costume seen in these photos of Sadie. Search online for a good image of that unforgettable heart logo tag. Try to find an image that has the tag open so that your own tag can be opened and read. 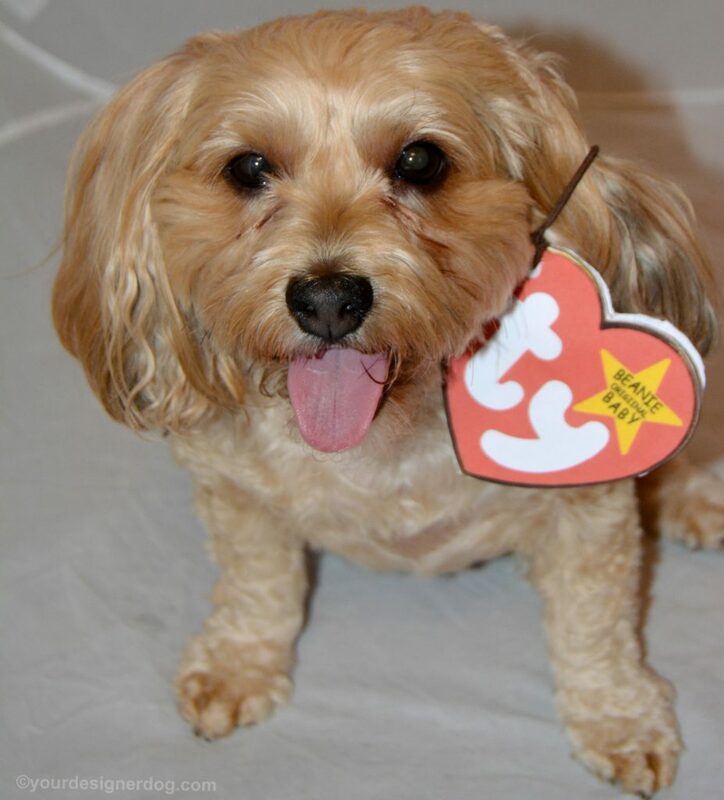 Print out the heart, making sure the tag will print large enough based on the size of your dog. I printed mine at 150%, making the heart take up the top third of a piece of standard printer paper. Glue / tape the paper with the heart printout to a piece of cardboard. 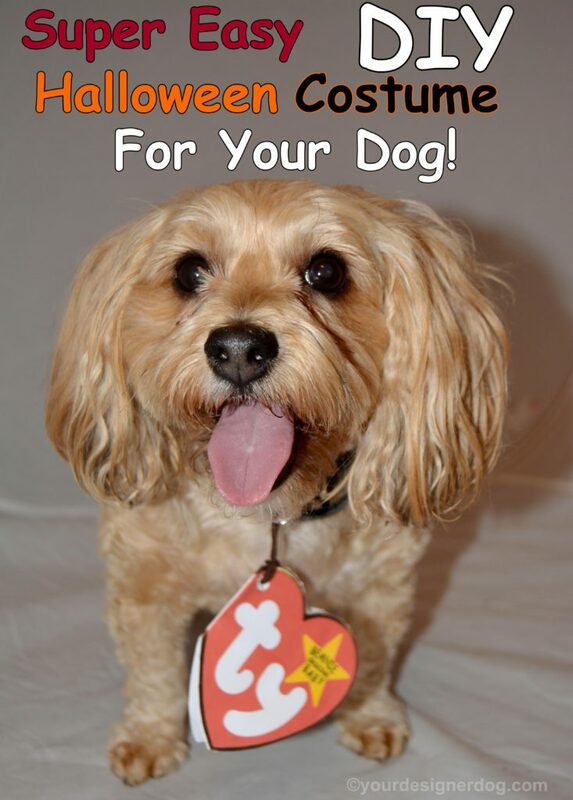 This will help to make the tag is sturdy enough to survive being attached to your dog. Cut out the tag and fold in half. 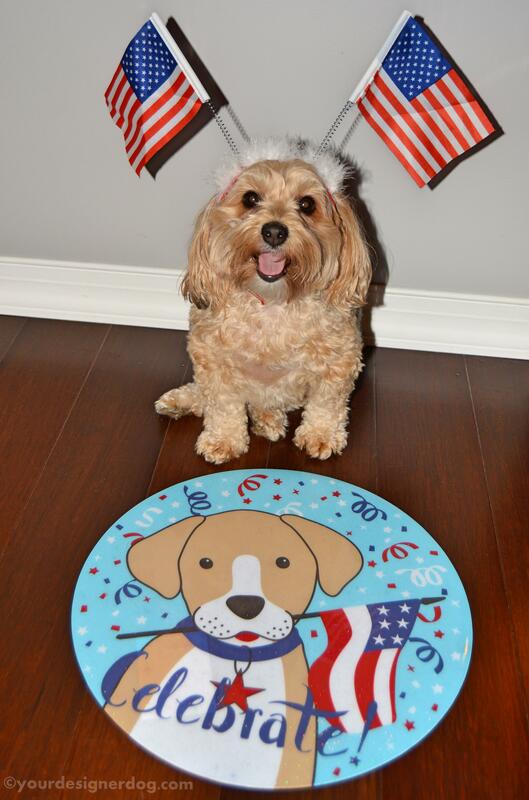 Write your dog’s name and birthday inside. 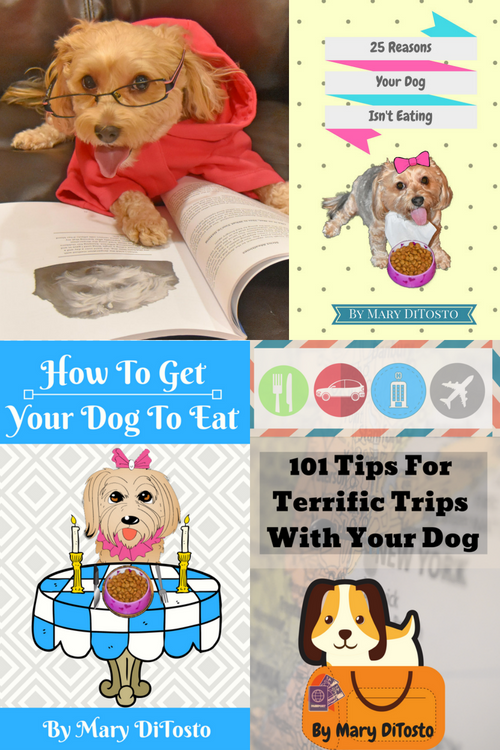 You may also include cute little facts about your dog, or a small story or poem. Punch a hole in the tag at the upper left corner. The correct spot may be marked with a small circle, depending on the heart image you chose online. Attach the tag to a piece of string or a rubber band. I used a hair elastic for Sadie’s tag. «Tongue Out Tuesday with a Tootsie Roll! Definitely simple to do but very recognizable! Good one. These dogs are all so precious. 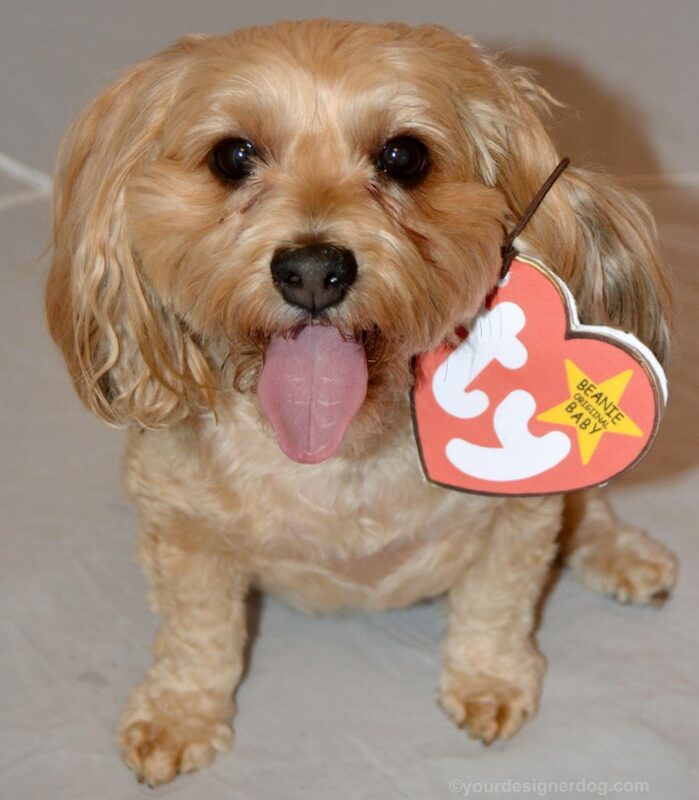 I love the costume on this little guy too. i’m loving the TY Tags. How cute and creative! 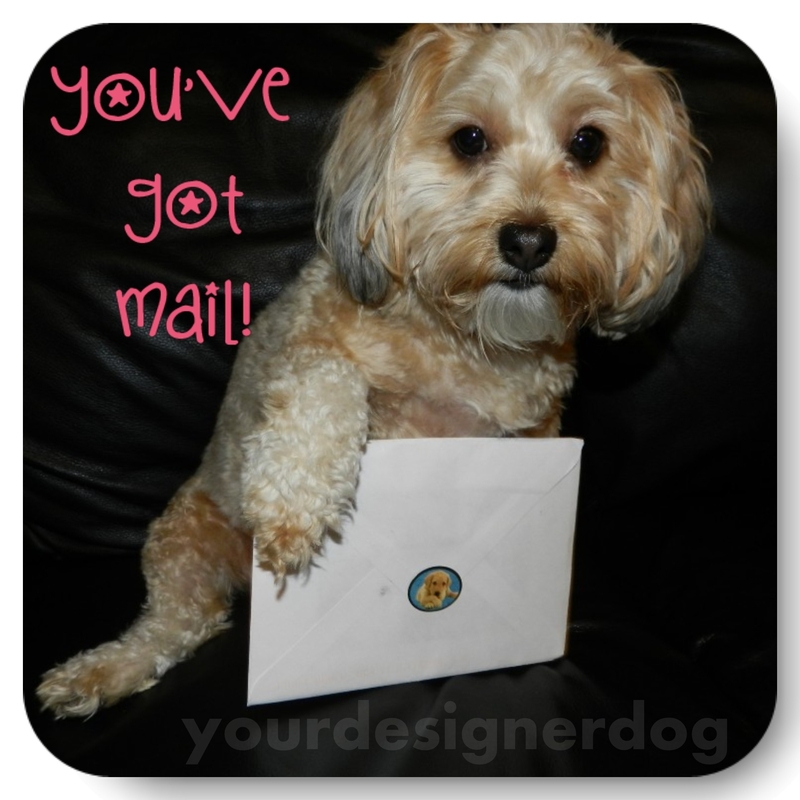 Thanks for joining our Halloween Blog Hop! Omg! This is an awesome idea! 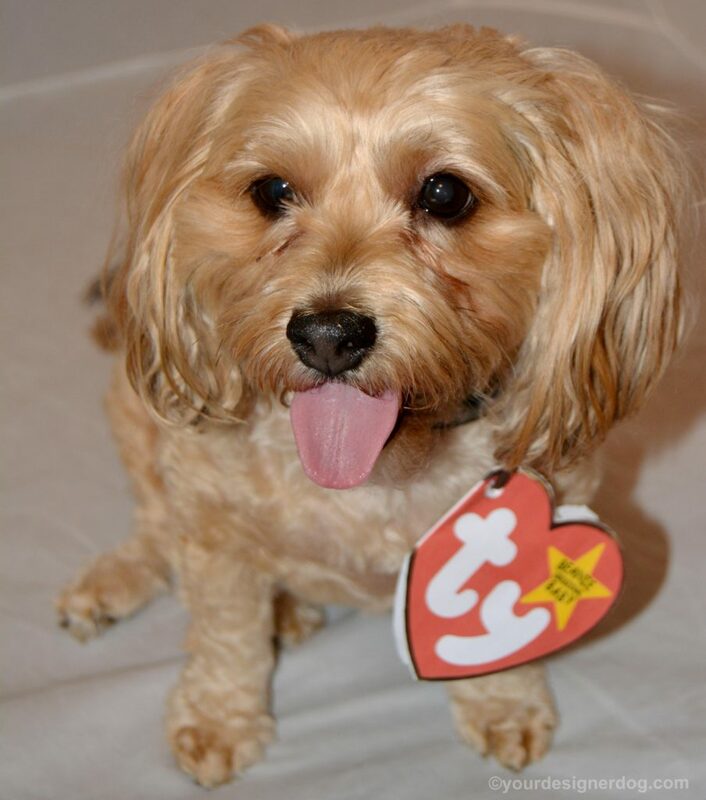 This lil one looks just like my favorite beanie baby “Spunky” too cute!